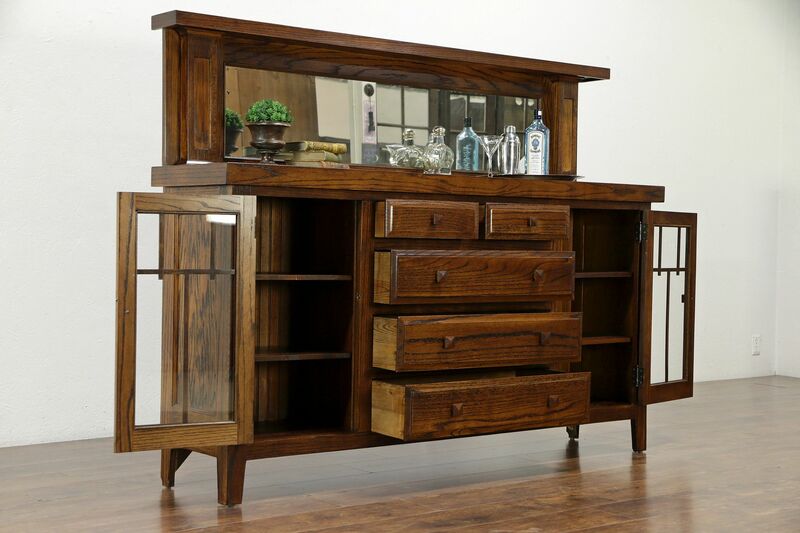 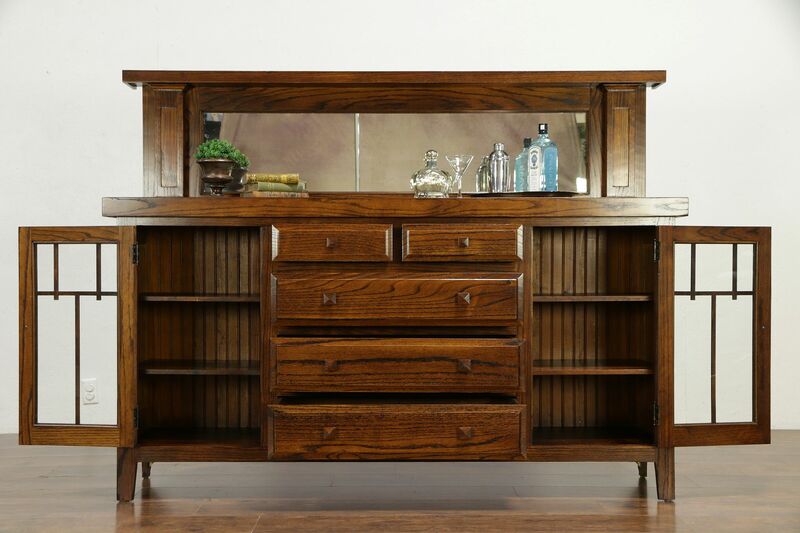 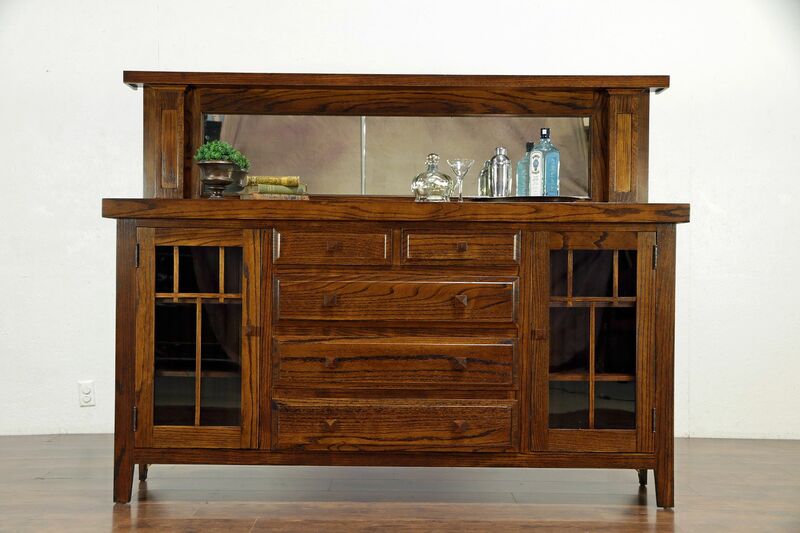 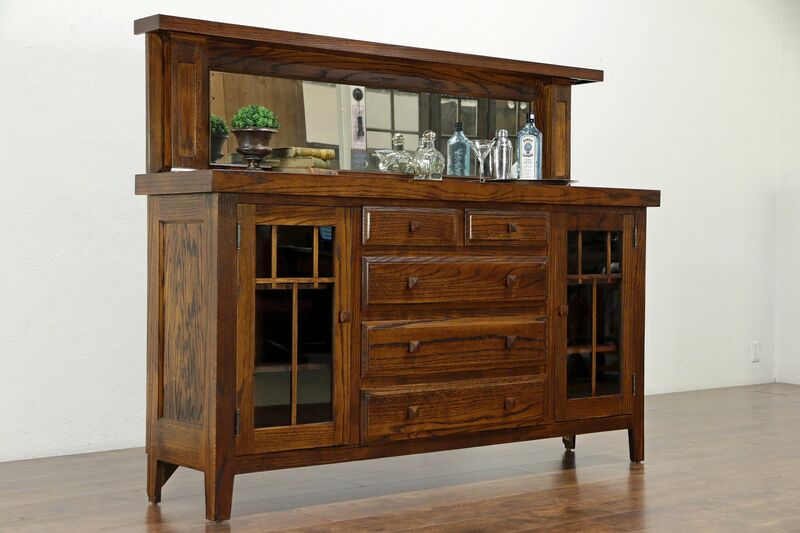 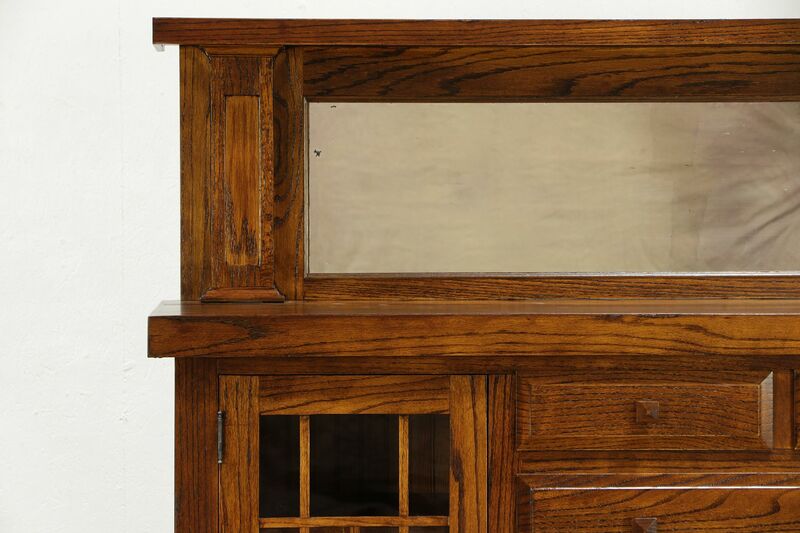 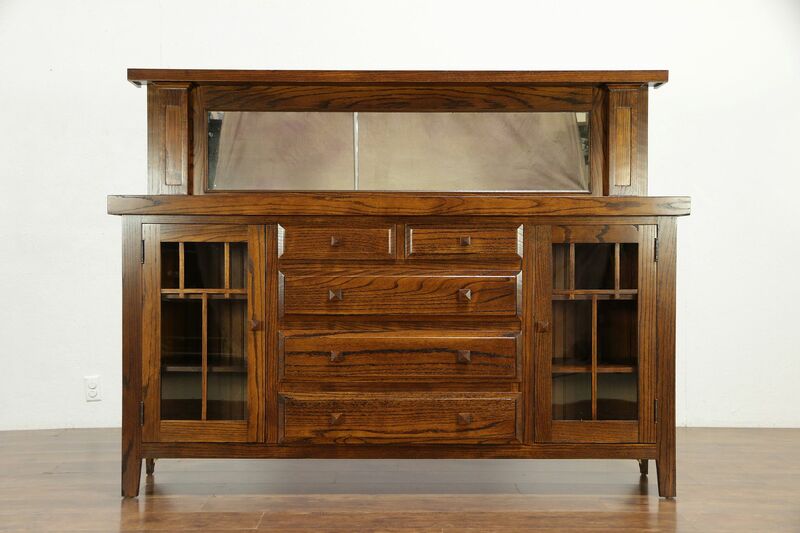 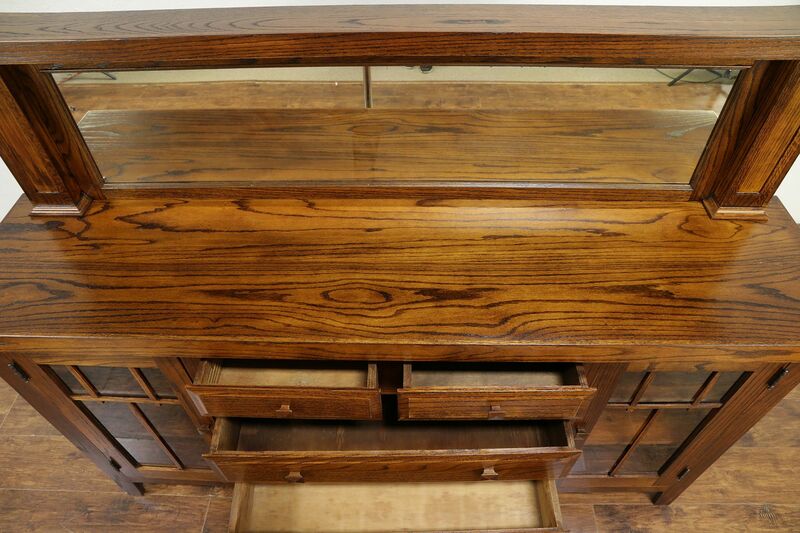 An Arts and Crafts or Mission Oak period sideboard with gallery and mirror is solid oak and dates from the very early 1900's. 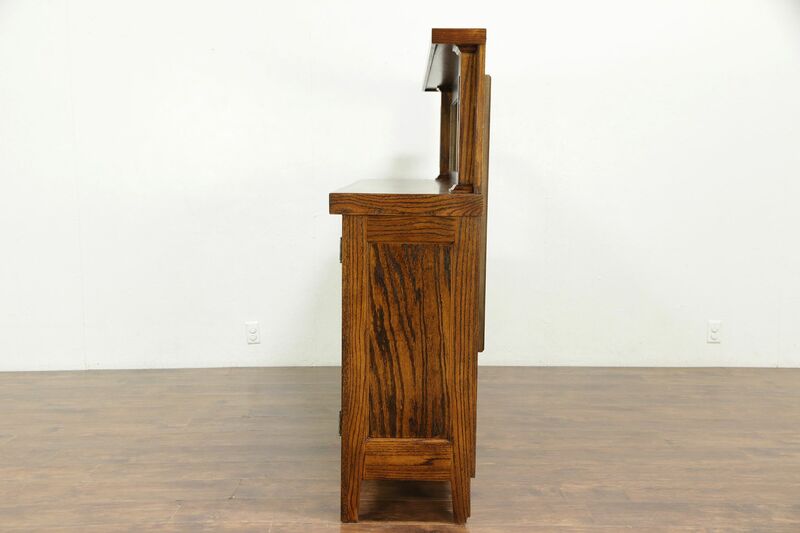 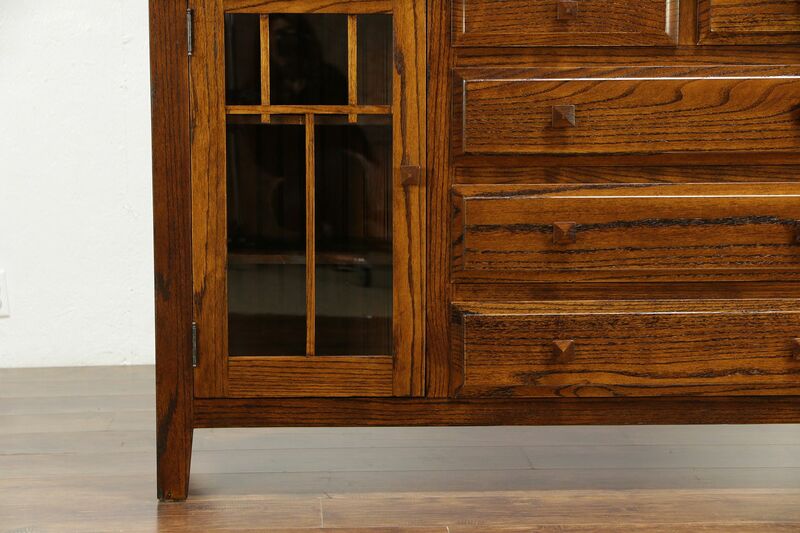 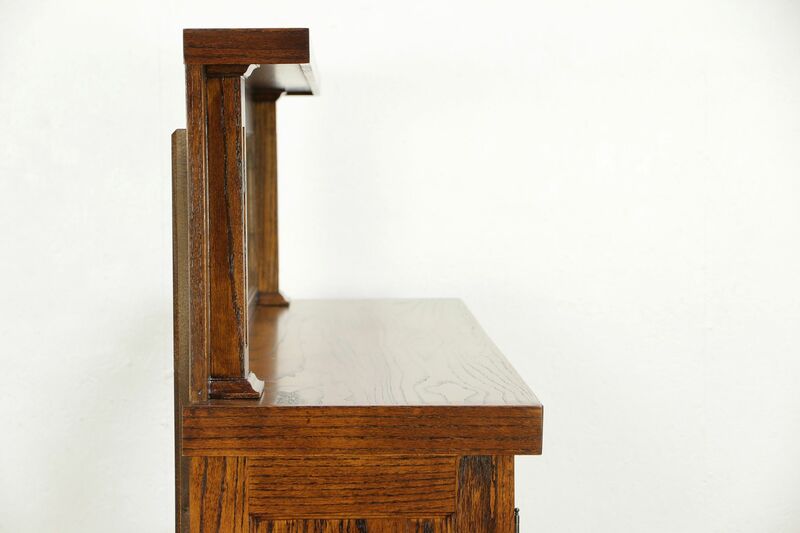 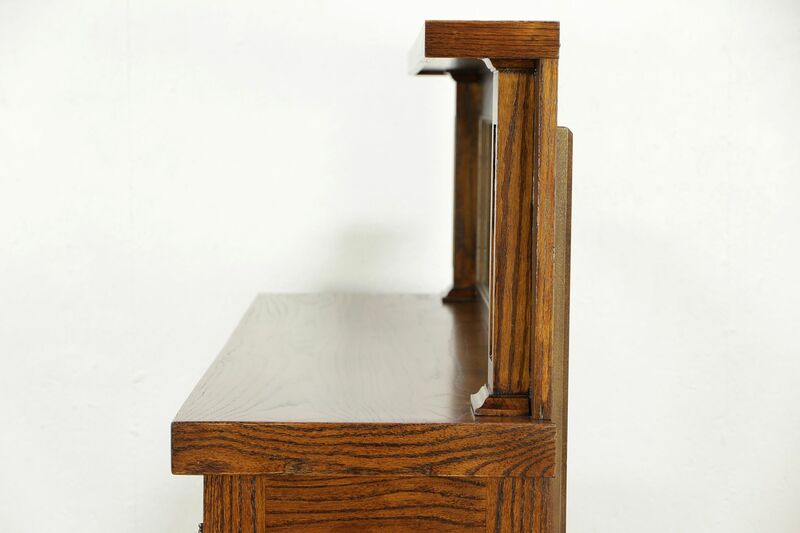 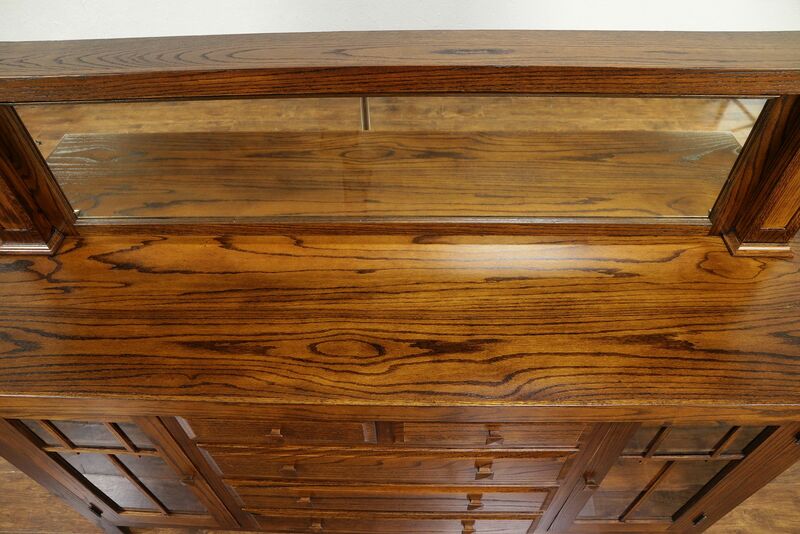 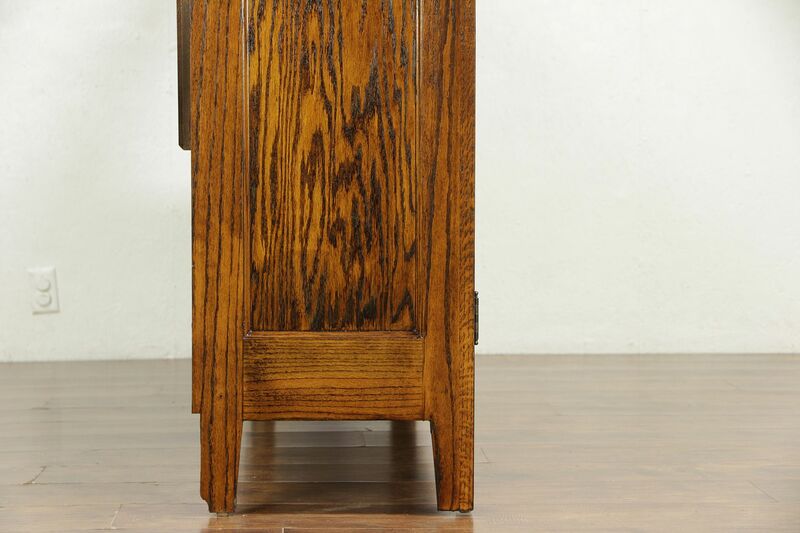 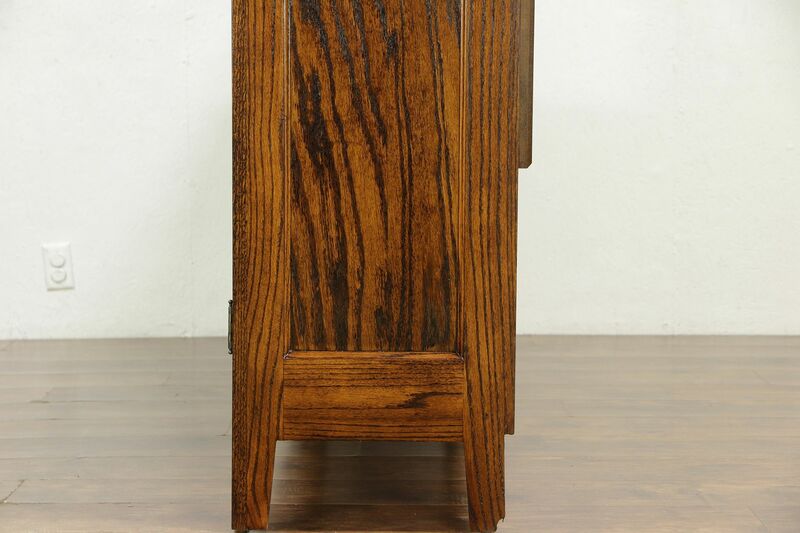 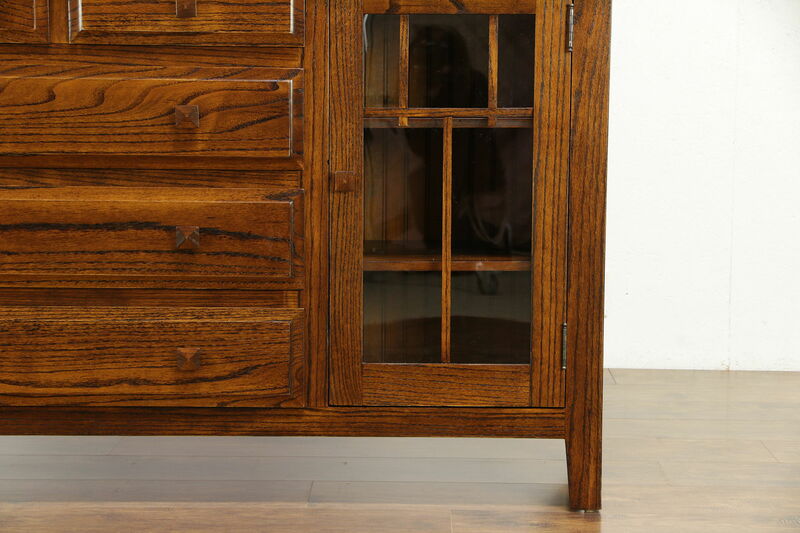 The restored finish is in excellent condition on this American made antique Craftsman furniture from Chicago. 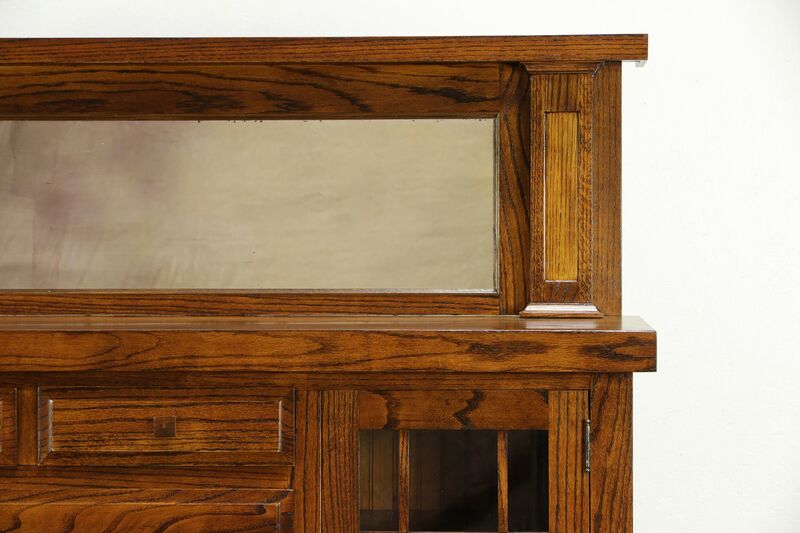 There is a hint of antique "smoke" and losses in the original mirror to show its age, see photos. 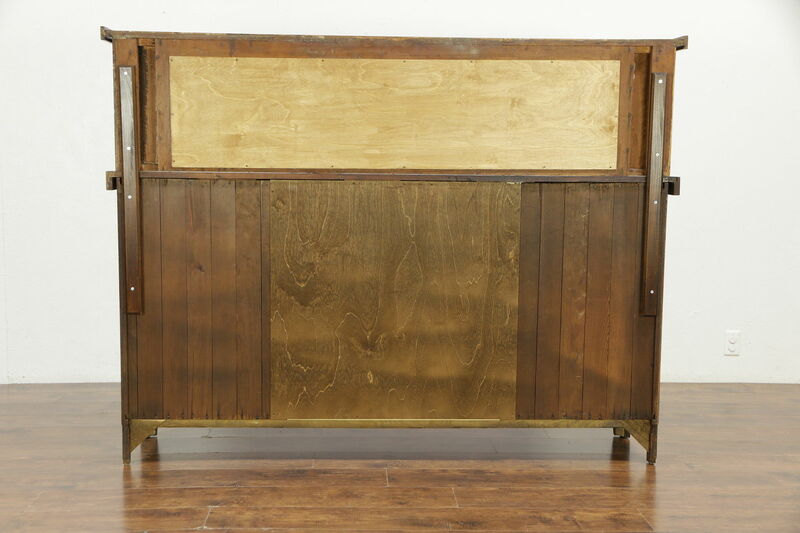 The back is wainscoting, shelves are adjustable. 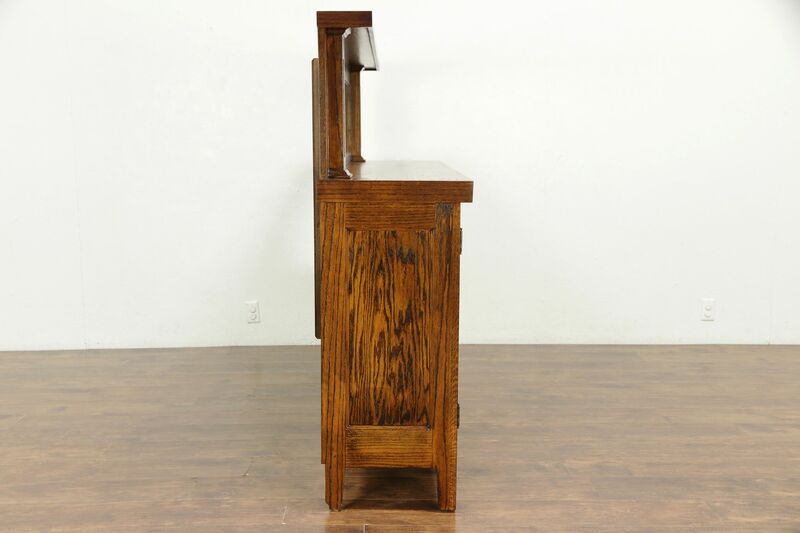 Measurements are 75" wide, 18" deep, 57 1/2" tall, the top is 39" high.